The other day I sat down and watched Jodorowsky’s Dune, a documentary about Alejandro Jodorowsky’s attempt to make a film adaptation of Frank Herbert’s Dune. While it’s hard not to lament what could’ve been–a Dune movie that involved Moebius, Chris Foss, H.R. Geiger, Salvador Dali, Orson Welles, Mick Jagger, Pink Floyd, and more besides–I came out of it feeling creatively energized. The Jodorowski that emerges through the film is an iconoclastic weirdo who has a vision and boldly pursues it. He’s the kind of guy who refers to the key creative people helping him as his “warriors,” and who sought to make a film that would be a “prophet” that changed mankind. Even though it didn’t come together because of the studios being unwilling to finance it, his vision still profoundly influenced science fiction, and he further went on to put as much of that vision as he could into comics. I don’t think I have the wild-eyed ambition to aspire to make a prophet or to bug Mick Jagger to be in a movie, but I can’t help but admire Jodorowski for it. For me it hasn’t been all that unusual to start on a project and then eventually discover that for one reason or another I actually needed to try doing it in a completely different medium or otherwise radically change my approach. I kind of feel like I’ve been sliding towards being a guy who makes various kind of things that use words in interesting ways, of which RPGs are just one component. And I think I’m okay with that. The thing I like the most about where I am now is that I feel empowered to just make stuff. My self-published stuff now includes two books and three cards games (and one of the card games now spans four different products). A whole lot of people come off as though they’re waiting for someone to give them permission, but we’re at about the best time in human history (so far) for having tools to let a person make a vision happen and reach people. I’ve pursued some downright quixotic projects, but I’ve been able to make them happen without breaking the bank. I think I spent roughly $400 on I Want to be an Awesome Robot in all, which for my self-published stuff is way at the high end. For Miyuki Days I used a piece of pixel art I had commissioned for something else a while back and a bunch of public domain and creative commons art, so the monetary expenses basically amounted to getting a proof printed. All of that isn’t to say I don’t want to do more ambitious projects as well, just that I think there’s something to be said for blazing through bringing a simpler project to fruition by myself sometimes. The sense of accomplishment is certainly help me keep up some kind of creative momentum. I’ve wanted to make something or other about a magic school for ages, and even started building up a particular one in my head: the Mage Academy. MA is a relatively new American school, and its founders wanted to create a modern institution and overcome the flaws they saw in the older schools. (So yes, it is in part a reaction to the many harmful and sometimes just plain baffling aspects of Hogwarts.) I had a few different ideas for what medium it would actually use, from an RPG to a novel to a solo RPG, and more recently I hit on the idea of presenting it in the form of a sort of journal book. There are a fair number of journals and such that give suggestions and guidance for what to write about, and in some cases, for various non-writing things to do. I have a book called 642 Things To Write About, which is a collection of writing prompts with lines to write on. There’s also Keri Smith’s Wreck This Journal, which is a brazenly transgressive series of tasks to deface the book in various ways. (Some of her other books seem a little calmer, more about building up something though.) The’re the Listography books too, which ask you to create a sort of autobiography in the form of various kinds of lists. And of course there’s the children’s activity books, which I wound up researching a bit for the weird Fun Activities section of I Want to be an Awesome Robot. Personally I’m the sort of person who normally doesn’t write in books at all (not a moral thing or anything like that; it’s simply something that doesn’t normally occur to me to do), but there’s something neat about books that are meant for it. Although there’s a lot of semi-antecedents, as far as I know, I’m making the first such book to be all about guiding the reader in creating a narrative. In the book’s story, MA is trying out a “Magic School Diary Program” to help students maintain a personal timeline (in case temporal weirdness happens) and provide basic “study activities.” The activities serve as an excuse to add Fun Activities to the proceedings, including learning a (made up) runic alphabet, collecting leaves for a spell, and finding a plushie to be your familiar. A portion of the entries will call for rolling dice for ideas or to see what happens next, and while the book leaves a lot of room for the user to find their own story, there’ll also be some storylines woven into the book. 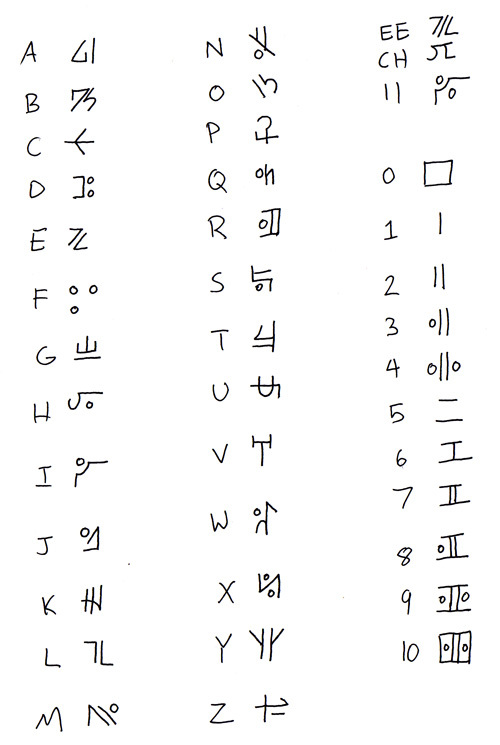 “Universal Runes,” which a friend of mine designed, originally for a sci-fi/fantasy campaign I was running several years back. As much as I liked the diary writing solo RPG concept, the Magic School Diaries solo RPG I had started working on was set to balloon to a pretty massive size, with lots of tables providing events, NPC reactions, and so forth. Not having rules for character stats and such limits certain things about the journal version, but it’s also freeing in a lot of ways. Being onto something that’s a bit sui generis is also pretty phenomenally exciting, though it also carries any number of challenges, the biggest of which being the question of figuring out the right balance of the various kinds of content and activities to sustain someone through 300 or so pages. To start with the plan is to put the book together in Word (with an Excel spreadsheet to help me plan stuff out) and get some POD books made so I can test it out. That’s going to take some time, but if it works out well I could see doing a Kickstarter to pay to hire people for artwork, graphic design, and layout to make it as pretty as I’m imagining it could be. 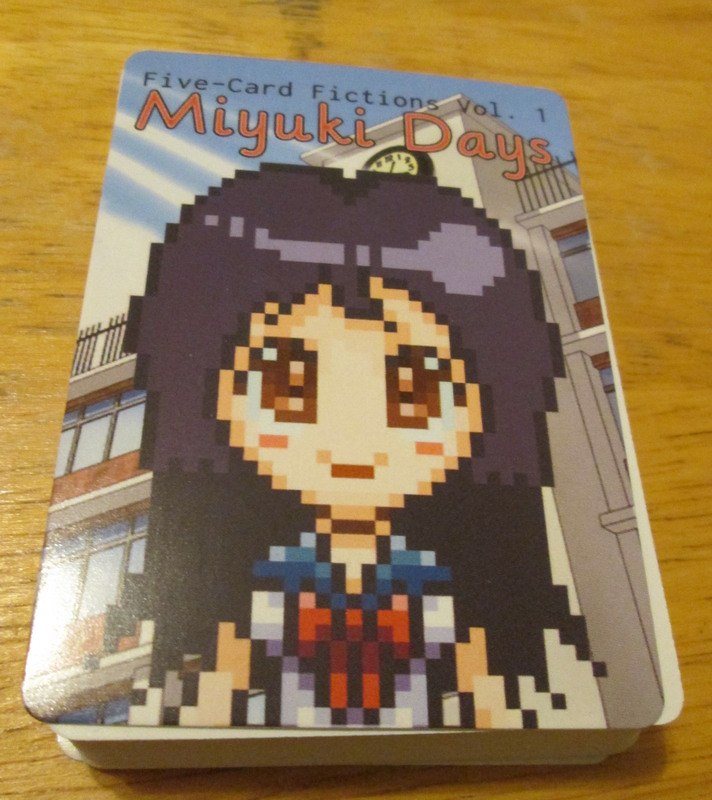 On the card game front (which is a thing in my life now apparently), I got Miyuki Days and The Bird Game up for sale on DriveThruCards. The Bird Game is fun, but it was always a weird joke, so I kept the graphic design of it deliberately basic, though I didn’t go into purposely bad Comic Sans territory or anything. For Miyuki Days I also stayed fairly simple, though putting a different icon (from The Noun Project) on the back of each of 50 cards did add a fair amount of time to the process (though Data Merge made it much less painful than it could’ve been). Unlike i.hate.everyone, they have few enough cards to actually come at a reasonable price despite being POD, so they’ve actually sold a few copies. They were both fun to make and fun to play with. I’m still planning to make some more Five-Card Fictions decks to follow Miyuki Days, but they take time and I have a bunch of other things going on. 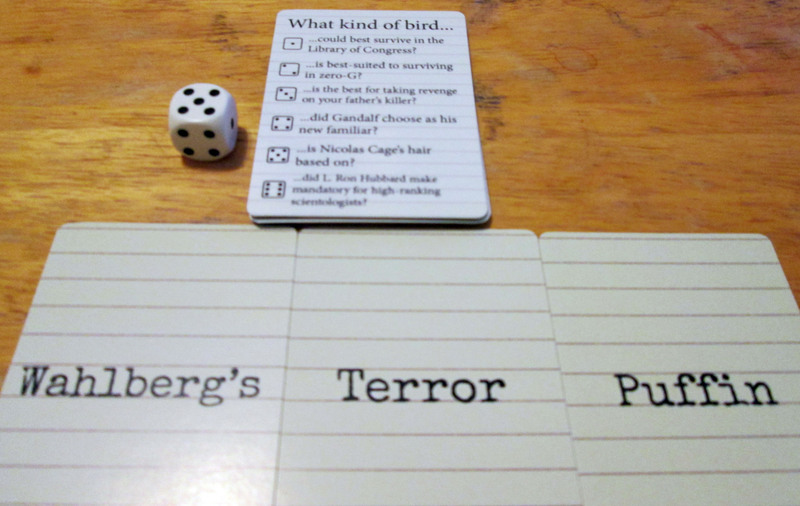 The major new thing in the Deluxe Edition of The Bird Game is the addition of a set of pre-made prompts. To keep down the number of cards, I made 12 cards with 6 prompts each. The big thing I’m currently working on for Slime Story is working on the selection of monsters. I had some figured out already, and I bought the newest Pokemon Pokedex strategy guide to look at for inspiration. On the whole I’ve set myself a difficult task though, since Slime Story monsters are supposed to be neither humanoid nor outwardly artificial, which cuts out a bigger swath of possibilities than you might think. I am writing something for my friend C. Ellis‘ Madoka Magica fan book. It’s exciting, though I’m just getting started. I am going to be writing something for Ettin’s Breakfast Cult game. Surprising absolutely no one, I’m going to be writing stuff about magical girls. Having just enough clout that people are asking me to write RPG stretch goal material is goddamn weird, but also kinda cool. The artwork for Fantasy Friends and Faerie Skies is coming along nicely, and I’m hoping to send the manuscripts to an editor soon as well. I’m planning to share some in a Kickstarter update soon. For Star Line Publishing, we’re in the early planning stages of a Kickstarter for the first official Golden Sky Stories supplement, and we’re also very seriously looking at some other possible games to license. I have been working a little bit on the “Hand Maid Edition” of Maid RPG (the idea being to produce a smaller, sleeker rulebook), including reworking the steward rules a bit (since I was planning to include them in the book), with the aim of making them better able to facilitate equal-opportunity fanservice. I have some ideas percolating for Magical Burst. I’m probably going to wind up doing another massive revision. I am playing Galaxy Fraulein Yuna 3, because apparently the video game that interests me most right now is in Japanese and was published in 1998. It’s a mixture of visual novel stuff with grid-based tactical combat, and it’s a lot of fun.